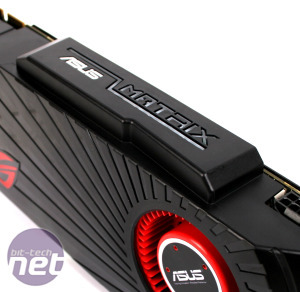 The Asus Matrix Radeon HD 5870 is the kind of graphics card that likes to be noticed. If it were a person it’d be wearing the loudest shirt it could find and be driving the most expensive convertible car it could afford. 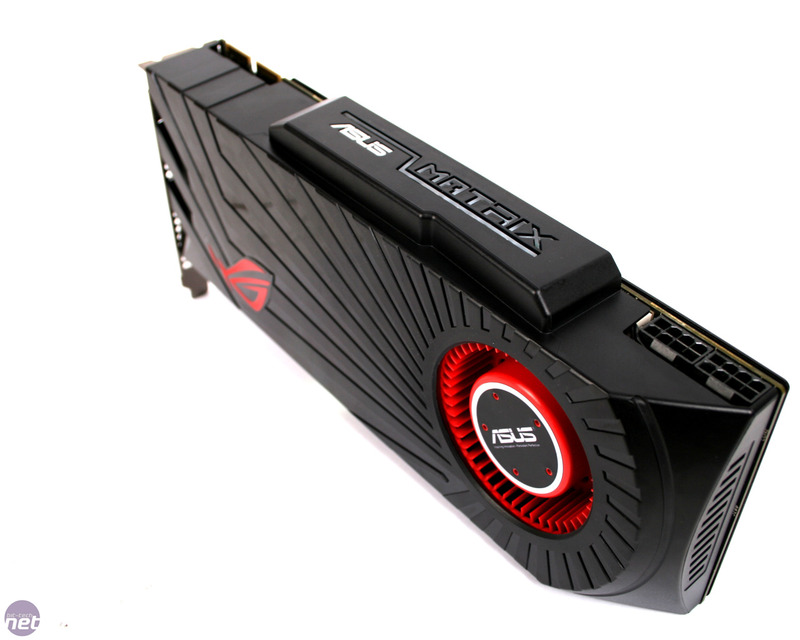 Subtlety is a dirty word for the Asus Matrix HD 5870. We hope you like your graphics cards pimped. Asus has really gone to town on the humble HD 5870, as the Matrix sports a factory overclock, 2GB of RAM and more enthusiast features than you can shake a stick at. The show starts with the cooler of the Matrix, which is moulded in an attractive sunburst design and trimmed in the traditional ATI red and black. It’s a chunky beast and feels solid and capable. It also has a distinctive bump along its edge, which houses some of the bling we talked about earlier in the form of an illuminated Asus Matrix logo. The logo changes colour depending on how much load the card is under, which is a bit ridiculous, though it does look good in a case with a side window. 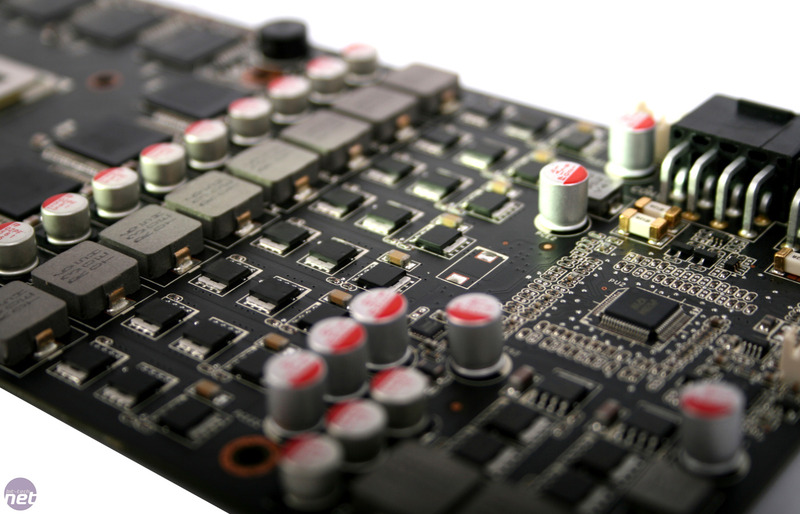 The PCB of the Matrix is, unsurprisingly, custom made and comes with a number of unique features. Of these the most immediacy noticeable (once the cooler is removed at least) is the VRM circuitry. The Matrix has a ginormous 8+2-phase power circuity design, something more commonly seen on overclocking motherboards and more than we’ve ever seen on a graphics card to date. 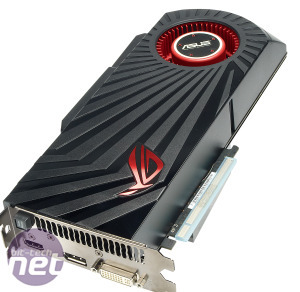 This design goes some way to justifying the high price of the card (it costs £80 more than a bog-standard HD 5870) and should ensure a rock solid power supply to the GPU - a must for a good overclock. 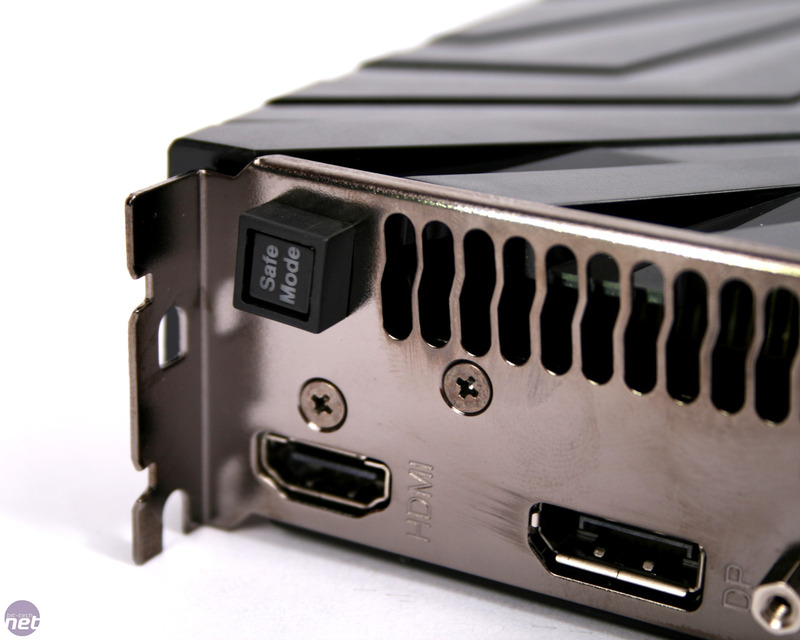 The memory and VRMS are cooled by the full-cover heatsink of the cooler, with a separate heatsink for the GPU itself. 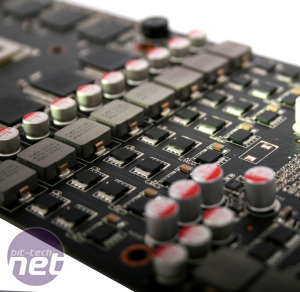 Possibly the next most noticeable feature is the ProbeIt strip which allows OCD-prone overclockers to monitor the card’s voltages manually via a number of multi-meter contact points. Again, we’re more used to seeing this feature on motherboards. 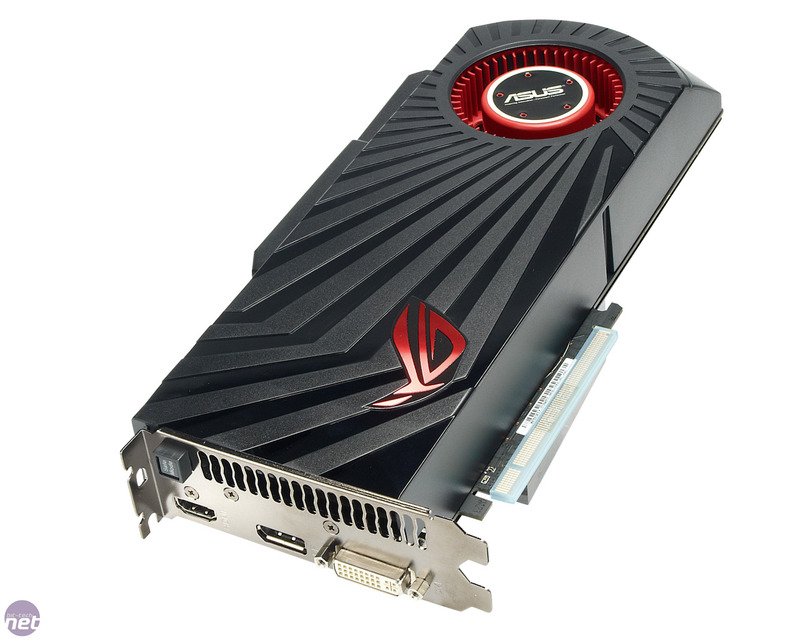 While we’re always keen to see innovation, ProbeIt on a graphics card strikes us as a very niche feature. The card also features a safe mode button on the back plate, which resets the graphics BIOS on the card to default settings. This is useful if you’ve pushed your overclock too far and your system won’t boot or the card just refuses to output a screen. 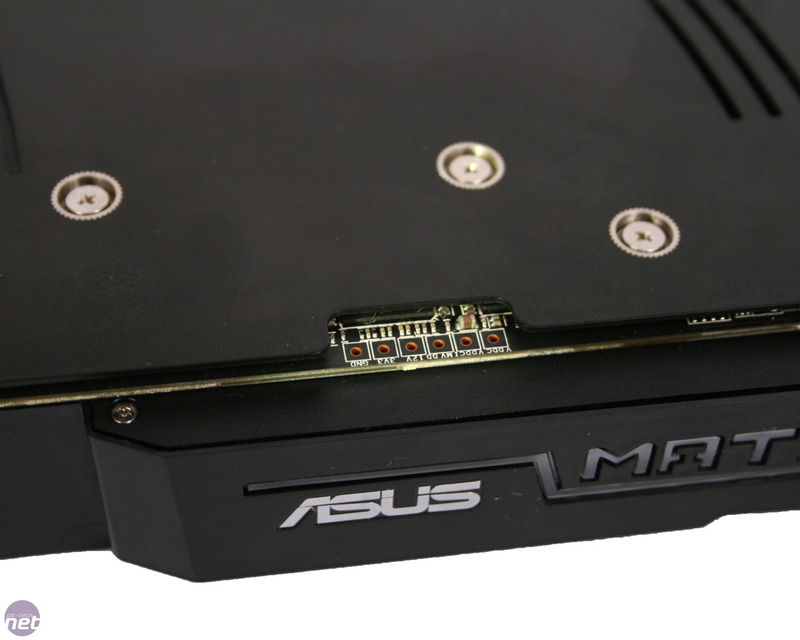 Also noticeable on the Matrix is the large aluminium cooling plate attached to the back of the PCB. This is tasked with cooling the extra 1GB of memory that resides here. Peeking through this plate is Asus’ Super Hybrid Engine chip, which Asus claims is used for real-time voltage control, allowing the card to run efficiently as well as stably. Backing up all these features is the usual HD 5870 Cypress die. It runs at 894MHz, which is a decent overclock from the 850MHz of a normal card. 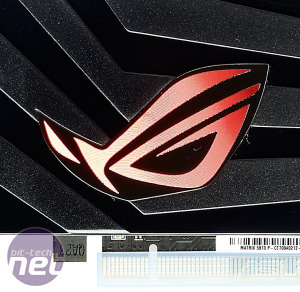 As mentioned earlier, Asus has also doubled the usual amount of memory of a HD 5870 from 1GB to 2GB of GDDR5. 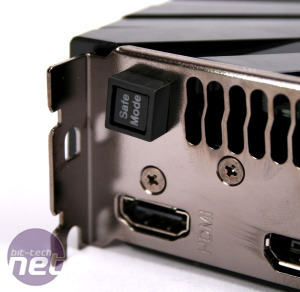 This should bring slight performance increases at high resolutions when using loads of AA, as we saw in our ATI Radeon HD 5870 Eyefinity review. The RAM of the Matrix also runs at stock speeds, which is a little disappointing given the £400 price tag and RoG branding. This means that XFX's £20 cheaper Radeon HD 5870 Black Edition is more overclocked than the Matrix, and so should prove slightly faster at both card's default speeds. 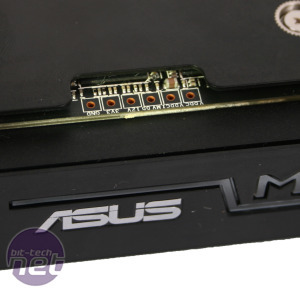 As if to underline the extreme nature of the Matrix, Asus has upgraded the power connectors from a pair of 6-pin to two 8-pin PCI-E connectors. This means that the card has a total potential power draw of 450W.